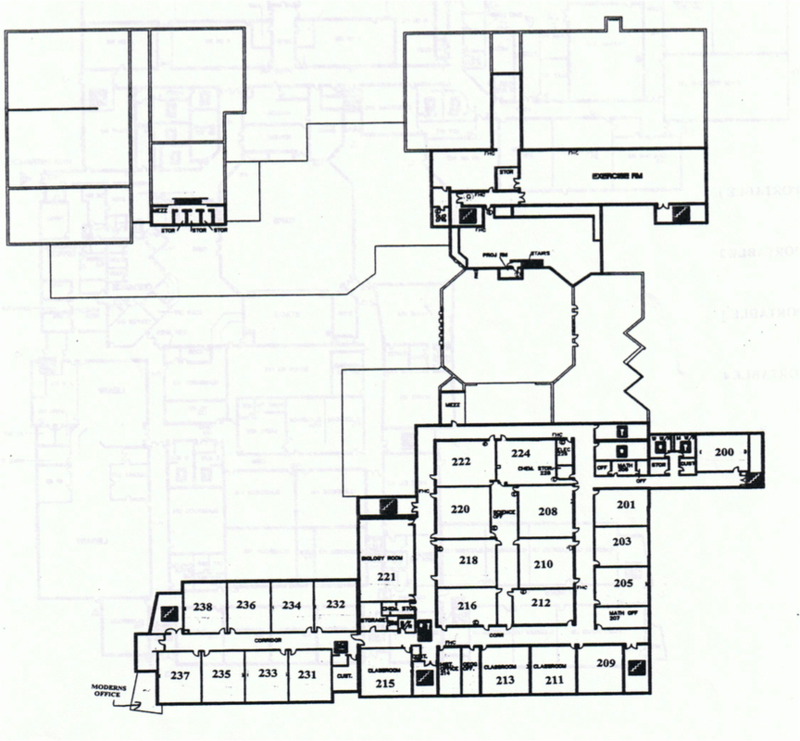 This is the first floor of our school, North Park Secondary. We have four portables outside the school. You can see the portables, which are labelled on the left side of the map. Any room that is not labelled with a number is a first floor room only. Any room with a number is a second floor room.